Do you want to improve your League gameplay? We have our finest to teach you their tricks to winning. We can coach any role you desire and will adjust the coaching to your needs and your skill. The coaching is performed over Skype. Once you buy the coaching you will get access to our Members Area where the coach will be assigned to you - you will decide when you want to plan your session (if you have some special desire please put it to the note in checkout) and then you can start! After you order the coaching you will be taken to Members Area where you will see the status of your order - all of our coaches are notified of the order immediately after you place it - when the booster starts to work on your order it will change the status and you will be able to chat with the coach - he will guide you through the process and add you on Skype, Discord or other voice communication program. Feel free to use our live chat - our support is online 24/7 ready to help you! We have coaches from several countries including United States, various European countries so the timezone are not a problem. Absolute mad lad. Gave me new ideas for playing and helped me understand how to make plays. Had an amazing time playing and he helped me increase my awareness as a support and help me level up! Very Kind and Respectful and Gave a lot of good pointers! Very nice coach, even when I would make mistakes. Knew what he was talking about and was very professional. League of Legends is one of the most iconic multiplayer online battle arena (MOBA) games to date. Inspired by classic RPG’s such as Warcraft 3 and Defense of the Ancients, this game takes players on a riveting and captivating journey through a unique and creative world. Fast-paced, intense, strategic and refreshing, it comes as absolutely no surprise that millions of players around the world have come to love this game and have become so dedicated to it. With the game focused largely on planning and tactics, it is also unsurprising that LOL coaching has become almost as necessary to the gameplay as the very game itself. League of Legends can attribute much of its success to its refreshing take on the way RPG’s look. Any old developer can make an RPG with a competitive system and even an interesting concept, but it takes extra dedication and effort to make a game that actually looks like it’s fun to play – and the effort pays off. League of Legend’s smooth, colorful and attractive graphics definitely improve the gameplay of the millions of players that enjoy it. Of course, it’s not just the aesthetically pleasing universe that keeps players coming back to play more, but it definitely does help a lot. This game boasts of some of the widest varieties of champions and progression systems that can be seen today. It’s not only the highly strategic, tactical and fast-paced nature of the game that makes it addictive, but it’s also the system within it. Obtaining rewards and ranking up are just easy enough and hard enough to keep people both wanting more and hoping for more. 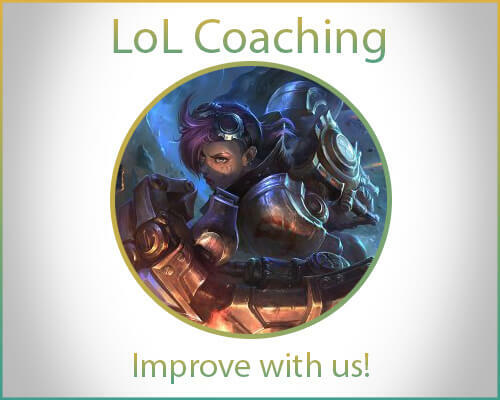 With the help of a LOL coach, your LOL gameplay can be enhanced and become much more fun and enjoyable. Being one of the most popular multiplayer online battle arena games of today, it comes as no surprise that finding new friends and teammates in League of Legends is no challenge at all. With a network that consists of millions of players worldwide, and with a game that is mainly centered on working with teammates to complete tasks and achieve victory, you will never be lonely on the server. This makes sharing something you enjoy with other people who enjoy the game just easier than ever before. League of Legends is one hundred percent free to download online. In-app purchases and add-ons such as a coach are optional but are sure to improve your gaming experience and make it just that much more fun. Although you do have to work for your items and skills as the game does not just give things away, of course, League of Legend’s amazing rewards system has a unique way of keeping players hopeful and motivated.League of Legends has certainly impacted the video game world in a way that no one will ever be able to forget. It has paved the way for more and more games similar to itself and has definitely helped millions find an activity that they can both enjoy and be passionate about. Why Get a LOL Coach? By nature, League of Legends is an intensely competitive game. This healthy competition between multiple players is the very concept that the game is built around – from the very gameplay itself to the champions to the items. A LOL coach does exactly what you think; he or she helps you improve your game and become a more competitive player. A LOL Coach helps you learn new skills, tricks, and secrets that you need to help you win. LOL Coaching is a great idea for anyone looking to play League of Legends competitively or even for someone who just wants to become better at playing League of Legends for fun.LOL coaching not only maximizes your gameplay but also optimizes your skills so that you can get the best experience that you can get from playing League of Legends. ProBoosting understands that gamers all have unique skills and unique needs in gaming. Hiring a LOL coach from ProBoosting doubles as a quality guarantee. This means that you can be sure that the LOL coaching services offered by our site are top-tier and are specifically made to help you achieve your own goals. A ProBoosting LOL coach can help you with any role you want to fill. He or she will adjust to your unique skills and will address your specific needs. Coaching is done through Skype for your convenience. ProBoosting also offers access to our Members Area. This is where you will be assigned with a coach that is fit for you and your needs. The best part is that it’s entirely up to you when you want to plan your session, and if you have any specific request, you can share it to us and we’ll do our best to make it happen. We also offer a safety guarantee. This means that we not only prioritize helping you achieve your in-game goals and become the best League of Legends player that you can be, but we also care about protecting your information. With ProBoosting, you can rest assured that your purchase is going to where you want it to go, and that you are in safe and capable hands. For your convenience, our site also offers many payment methods. This is to make sure that you don’t have to think too hard or spend too much time on getting a LOL coach when you can be spending all that time on being coached instead. If you are a League of Legends player looking to improve your skills and enhance your gameplay, then you do not need to look any further. ProBoosting has everything you need and so much more.